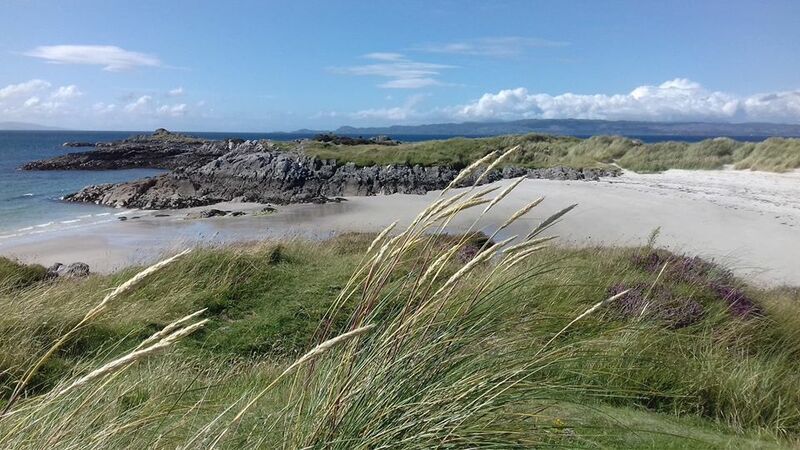 1) Parking at Traigh Beach carpark, head out onto the peninsula bearing right onto the beach. 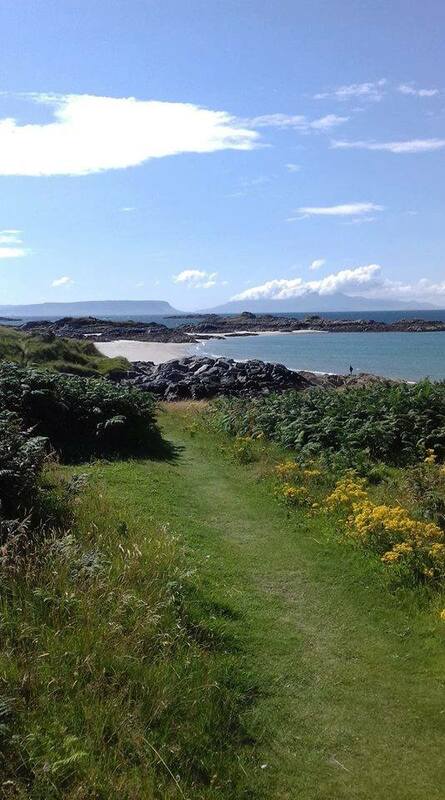 At the end of the beach, join the B8008 coastal road until you meet the next bay. Verging left, follow the well-trodden path along the field fence-line before passing two further beaches. 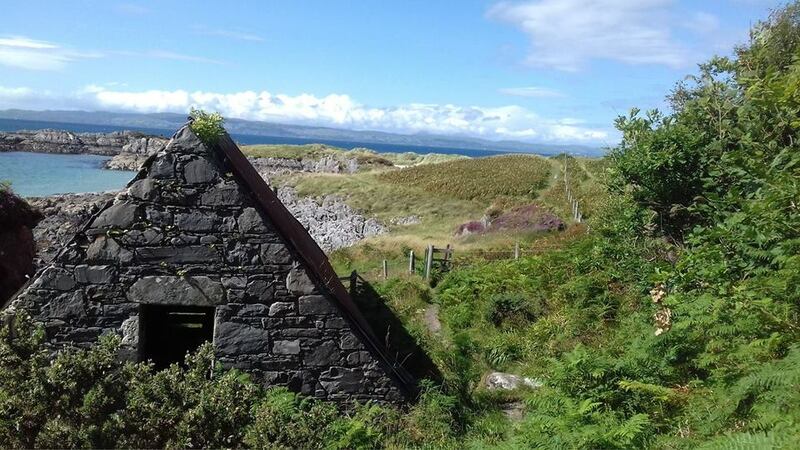 2) Keeping to the path, head through some dense woodland, coming out at the old boathouse where the grassy track extends ahead before separating into a warren-like sand dune system, with each path skirting by one glorious beach after the other, finally finishing at Camusdarach beach, made famous in the 1980s as the location for the movie, Local Hero. 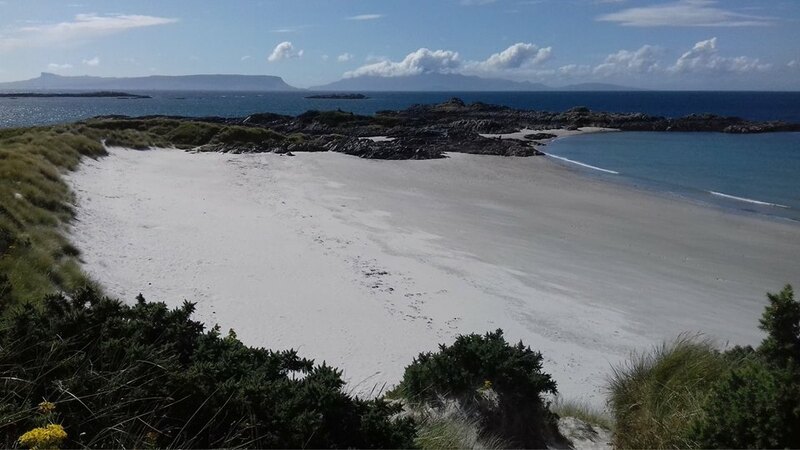 3) At the end of Camusdarach Beach follow the track (with the burn to your left) before turning right through a metal gate and climbing to the top of the hill where you'll be treated to panoramic views over the fields and dunes towards the Small Isles. 4) Keep to the path, which leads through two small gates and bear left through the field where you'll see a further gate at the top of the field. 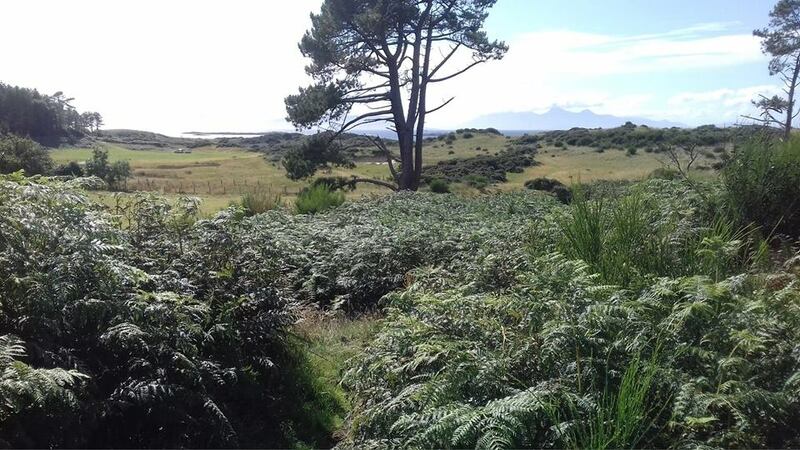 From here, keep to the track, which ends at a green wooden gate where you'll join the B8008 coastal road, taking you back to the carpark at Traigh Beach.